Overcooked es un juego de cocina cooperativo, casual y caótico al que pueden jugar de uno a cuatro jugadores. Mediante el trabajo en equipo, tú y los demás chefs debéis preparar, cocinar y servir una serie de sabrosos pedidos antes de que la oleada de clientes se marche furiosa. Muy positivas (42) - El 90 % de las 42 reseñas de los usuarios en los últimos 30 días son positivas. Muy positivas (5,838) - El 91 % de las 5,838 reseñas de los usuarios sobre este juego son positivas. Finalist at The Steam Awards 2018! 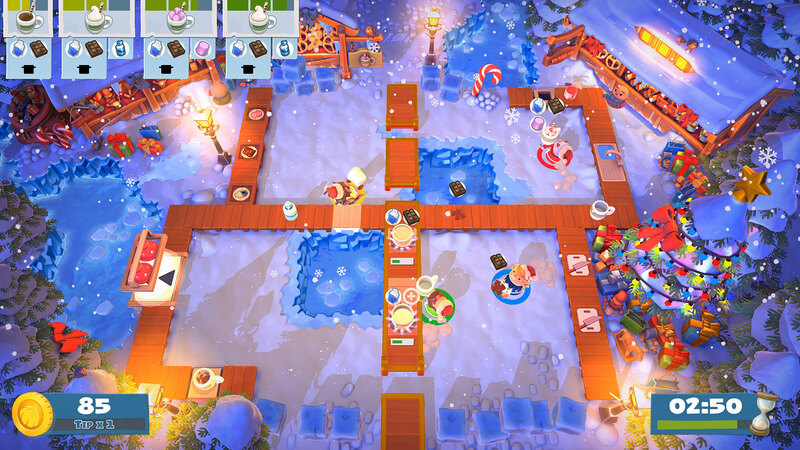 As we’re drawing ever closer to the holidays, we hope you’re all having a fantastic time with those you hold dear – perhaps while playing the latest free Overcooked! 2 update, Kevin’s Christmas Cracker? In any case, we’re extremely excited to share with you that Overcooked! 2 has been nominated for the Better with Friends award at The Steam Awards – and that’s all thanks to you! All finalists were nominated by players, so we quite literally couldn’t have done this without you. THANK YOU! We still need your help, however. While we’re honoured to even be nominated for this award, we do need your help to win the award itself. Do you think Overcooked! 2 is the best nominee for the Better with Friends category this year? Would you like to help us secure the win? Then all you have to do is vote! Voting is open from December 20th until January 3rd. To all of our chefs, we want to thank you for having played and supported Overcooked! 2 this year. We couldn’t be happier with our community and we’re looking forward to even more fun in the kitchen in 2019. Hope to see you then! Overcooked! 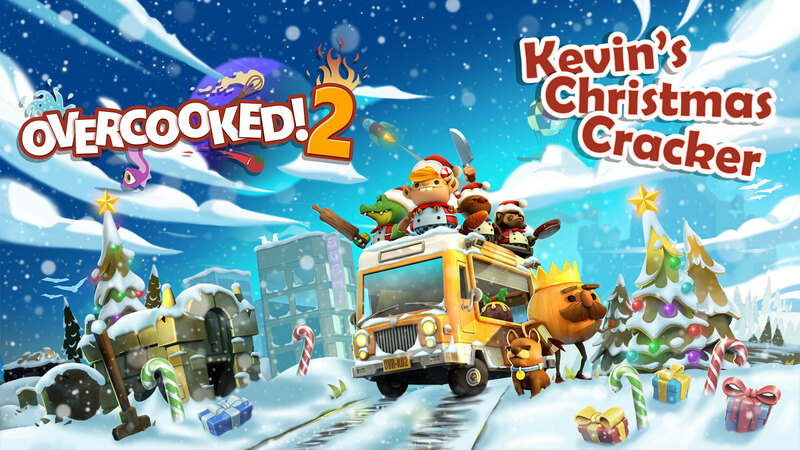 2: Kevin’s Christmas Cracker – Free Update Available Now! 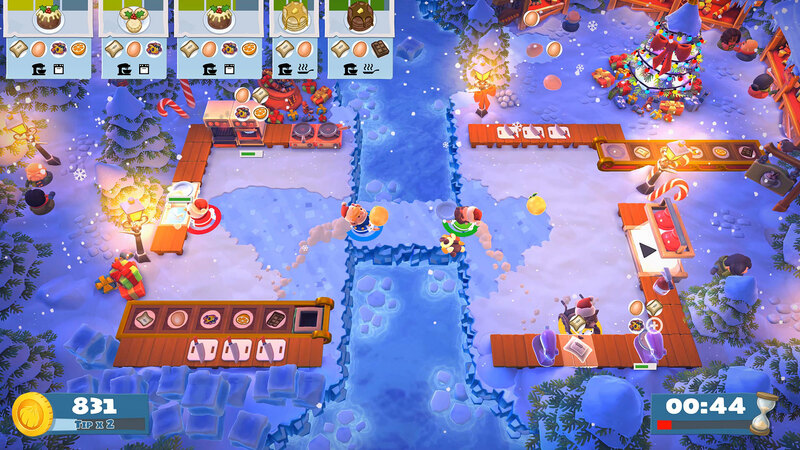 We’re excited to announce that a free festive update is now available for Overcooked! 2! Three sweet new recipes: Mince pies, Christmas pudding and hot chocolate! Two new chilly chefs – elf and snowman! Practice mode - unlimited time, unlimited orders. Cook as much as you like! You won’t need to search for any DLC, your game will automatically download an update to add this content to the game on your console or in your Steam library! We want to thank all our wonderful chefs for the support you’ve shown Overcooked! 2 since it released earlier this year – we hope you enjoy this festive treat! You can view the full changelist HERE. Join us live at 4pm GMT today for a Team17 Christmas Special livestream! 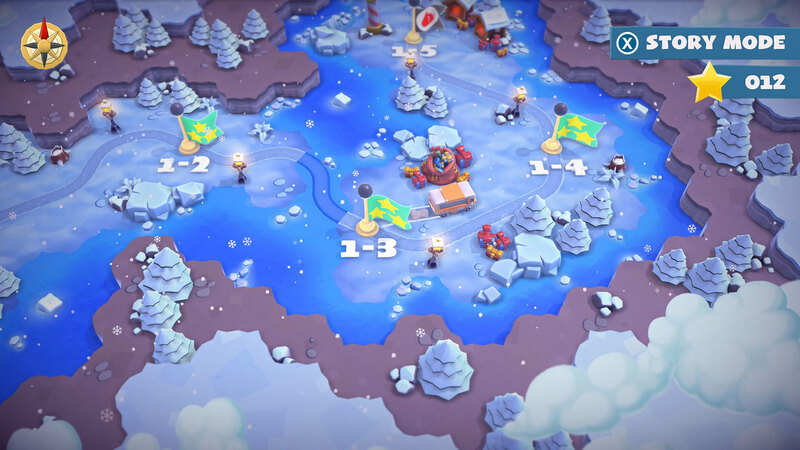 We’ll be playing the Kevin’s Christmas Cracker update for Overcooked! 2 and The Escapists 2 ‘Snow Way Out’ update as well! El Reino de la Cebolla es un mundo diverso y lleno de cocinas extravagantes y crueles que debes conquistar. Sumérgete en este viaje épico en el que te esperan un montón de cocinas tan variopintas como complicadas. Prepárate para poner a prueba tus habilidades de cooperación y coordinación hasta límites insospechados. Cada nivel os proporcionará a ti y a tu equipo un nuevo reto: desde deslizarse por un barco pirata, hasta meterse en medio de unos camiones a toda velocidad, pasando por cocinar en un témpano de hielo o servir comida en las mismísimas entrañas del inframundo... Los niveles del juego pondrán a prueba la entereza de cualquier chef, ¡incluso la de los más valientes! Overcooked, its logo and all related logos and slogans are copyright Ghost Town Games Ltd.
All logos are copyright of their respective owners. ALL RIGHTS RESERVED. Overcooked. Developed by Ghost Town Games Ltd. © 2015. Overcooked and Ghost Town Games are trademarks or registered trademarks of Ghost Town Games Ltd. Overcooked published by Team17. © 2015. Team17 is a registered trademark of Team17 Digital Limited. All other trademarks, copyrights and logos are property of their respective owners. 169 mentores han reseñado este producto. Haz clic aquí para verlos.